Every year, on Small Business Saturday, the Chocolate Lab is part of the benefits for Steinglein Veterinary Clinic in Northampton. 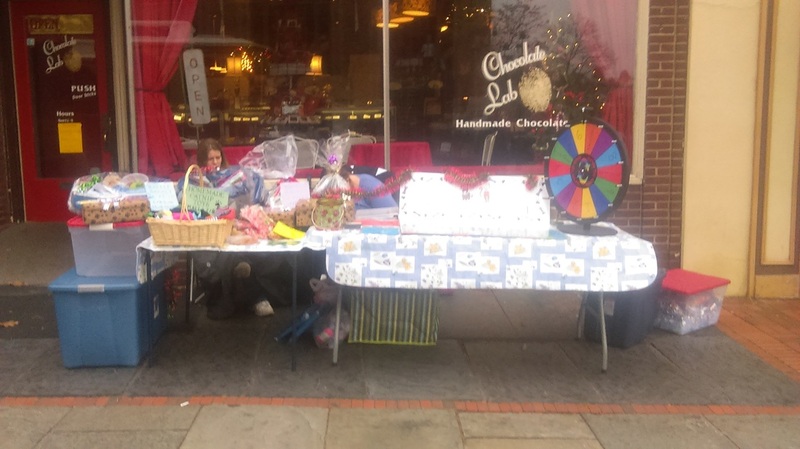 The representatives set up a table on Main St. and collected donations for our furry friends. Despite occasional light rain, Main St. was packed with people shopping. From what I noticed, they had a very good turnout. The representatives stayed outside the entire day. People from all ages stopped by to learn more about the clinic and helped out. Arelene Brockel, owner of the Chocolate Lab donated 10% of her sales while the benefit was happening.